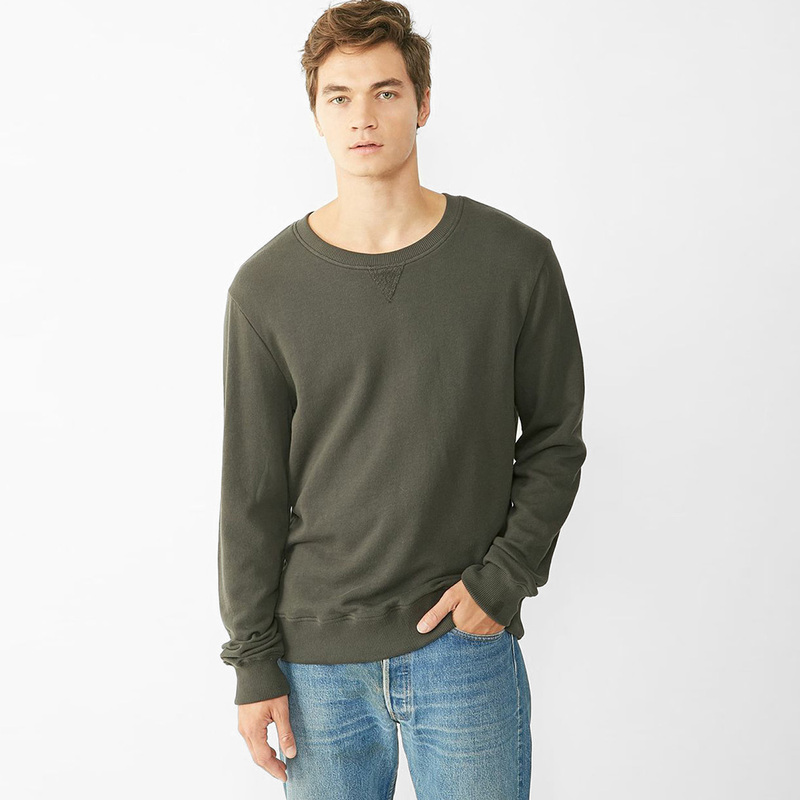 Crafted from 100% organic cotton in Peru, the French Terry Crew Neck is soft AND sustainable! 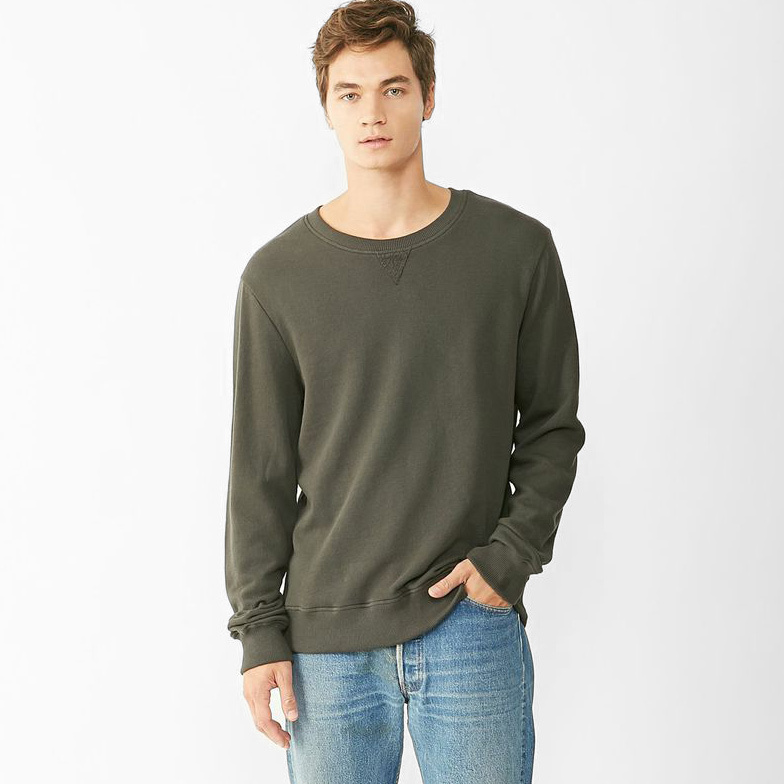 This crew turns basic into luxe by using premium French terry, giving your average crew a more polished look. I got this shirt as a gift for my son. I was so happy with the buttery soft feel of it. I chose the color gray, and was happy with the light gray color. The maroon strip around the neck really set it off. He hasn't opened the gift yet, but i know he will love it! Nice muted color that looks much more of a reddish purple than the terracotta color that appears on the monitor. The sweater is soft and comfortable to wear though not as soft as brushed fleece sweater nor as thick as another organic cotton fleece sweater I have,. Accepting responsibility is the first step towards real change. This is why Alternative Apparel, an eco-friendly clothing brand, believes that above all else, social responsibility towards the environment and in business practices is what makes a real difference in our world today. Their respect for people and the planet has brought Alternative Apparel all the way to Peru to sustainably source the softest, most luxurious fibers in the world for over a decade. Harvested and derived from natural and organic sources, these unique fibers make up over 65 percent of the brand's collection. 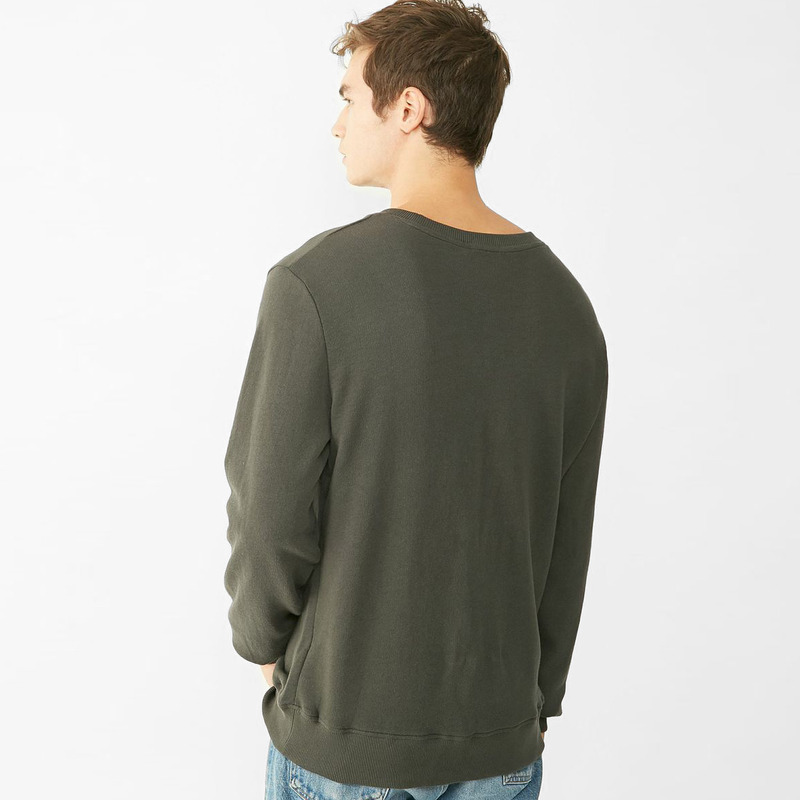 Alternative Apparel develops full organic and blended fabric for softness and durability -incorporating organic and recycled materials wherever possible. As a certified Green Business, they were designated by the City of Los Angeles for having responsible practices in recycling, sustainability, green cleaning products, and more. A company that takes pride in their "signature softness", they continue to develop modern basics for a sustainable future.